There is a terrible tragedy of elder abuse that is occurring in silence the U.S.A. every day and the victims ordinary senior citizens are often physically and emotionally abused or financially exploited. According to U.S. Census Bureau statistics, as of July 1, 2004, 12 percent of all Americans were 65 and over. By 2050, people 65 and over will comprise an impressive 21 percent of the U.S. population. The terrible secret is that according to Department of Health and Human Services estimates between 500,000 and 5 million seniors in our country are abused, neglected, or exploited. It is a sad fact that most victims of elder abuse remain silent about their victimization or do not know how to report. A Vulnerable Adult (VA) is someone who can’t take care of him or herself because of a mental or physical condition and must rely on others for assistance. In the U.S. A. there has been a growing problem of abuse of the elderly and disabled due to a covert system of guardianship or conservatorship. This covert system of power and control is enforced through the judicial system. It is manipulated for use by fraudsters, abusers and persons wielding undue influence for financial advantage. The wards have lost the right to complain, because they have been stripped legally of all their rights, left defenseless and subject to exploitation by the very people chosen to protect them; they are now invisible and voiceless. Strangers are appointed to take over the decision making process and often times given total and absolute control over the life, liberty and property of their wards. It is used to ensnare the most vulnerable people in a larger and larger trawling net, now including those merely physically "incapacitated"! Persons who are disabled or elderly are not automatically "incompetent" to "incapacitated," and thus may not even need guardianship. These predators, which can include unethical lawyers and other "fiduciaries" appointed by the courts, are meant to protect their wards, but many of whom become nothing more than abusers. Wards, instead of being protected by the system, are victimized by it. Strangers are given total and absolute control of life, liberty, and property of their wards. The American Taxpayer, ends up paying the tab for long term continued care for life of the ward under Medicaid and Medicare, often with medical decision made to maximize profits for the case managers, medical professionals, agencies and medical hospitals who provide the care. Crisis situations are created to maximize Medicaid reimbursement and to allow additional extended hospitalization at high rates. The ward is not permitted to make decisions for less restrictive care and may be drugged with psychotropic medications to force compliance. The paid fiduciaries often secret their wards away in nursing homes where they are kept chemically restrained with unnecessary and dangerous drugs; family members are denied any say in their care, and sometimes denied visitation, except under guard at their own expense! The ward becomes a burden on the American Taxpayer for lifelong very expensive care and then when no longer an easy patient to manage as a cash cow for the care provider – the ward is dumped into the street homeless to fend for themselves. At this point, often concerned family members or friends are forced to provide care without the benefit of the welfare monies which had been previously depleted by the former guardians. The system works with the cooperation of Uncaring/corrupt judges misuse the law and engage in blatant violations of due process, civil/human rights violations. Often there is a paper trail of pretend procedural due process in which the victims aren’t always given notice of hearings at which their competence will be adjudicated, aren’t always allowed to attend, and often don’t have lawyers. If the court does appoint lawyers, they are often closely allied with care providers and other professionals that they do not even superficially represent the wards best interest. There is an entire industry of professionals who specialize in this very lucrative practice which strips the wards’ of their property, their liberty and often their very lives. The attorneys often they are too closely affiliated with other professionals who make their living in this special area; and do not properly represent the victims’ interests. Corrupt judges do not apply the required evidentiary standards in making adjudications of incompetency, and frequently fail to obey the protective statutes, or include specific findings of fact. Fiduciaries take over the entire ward’s property and often the life savings are plundered and family homes sold to insiders at below market prices. Wards lose everything including personal items, family heirlooms, jewelry, family photographs, financial records, furniture, which all disappear, either stolen outright or sold at auction. The fiduciaries assess the ward’s estate assets with exorbitant "fees" and "commissions" until there is nothing left! In the end the guardians or fiduciaries decide to turn off life support or turn the ward into the street homeless. In almost 90% of elder abuse and neglect incidents, the perpetrator is a family member! About half of people with dementia are being mistreated, usually by a family member. The National Elder Abuse Incidence Study, published 1998: 236,000 reports of seniors abused at home every year. 50,000 reports of abuse in nursing homes every year. The Senate just passed the Elder Justice Act. It would boost federal aid for identifying and investigating elder abuse at the state and local levels, require long-term care providers to report possible crimes to federal authorities and create new oversight within the Department of Health and Human Services for coordinating state and federal anti-abuse efforts. This bill has gained broad support in and out of Congress, with more than 500 advocacy groups supporting the legislation so it is hoped that at least some of the measures appear to have good prospects for being enacted into law. According to a study for the National Institute of Justice, there are approximately 11% of people ages 60 and older suffer from some kind of abuse every year. In addition other studies show that elderly victims of abuse, neglect and exploitation have twice the risk of dying within a year. · Authorize funds for training and to establish a clearinghouse to empower professionals, researchers and consumers in finding solutions to elder abuse. 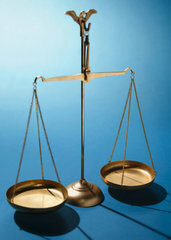 The Elder Justice Act was introduced in the Senate on April 2nd, 2009 and the House on April 21st, 2009. S. 795, the Elder Justice Act was authored in the Senate by Sen. Orrin Hatch (R-UT) and co-authored by Senator Blanche Lincoln (D-AR) with original co-sponsors Senator Herb Kohl (D-WI) and Senator Olympia Snowe (R-ME). On the House side the EJA companion bill, H.R. 2006, was authored by Rep. Peter King (R-NY) and co-sponsored by Rep. Tammy Baldwin (D-WI), Rep. Jan Schakowsky (D-IL) and Rep. Joe Sestak (D-PA). 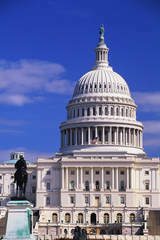 A section by section summary of the Elder Justice Act is available in the Legislation section. But this bill never became law. An adult's inability to perform essential self care tasks necessary to maintain physical health, mental health, emotional well-being and general safety; and/or manage financial affairs. How should we address workplace bullying? _ Offenders: spouse/partner, adult sons, grandchildren, caregivers, family members, and others. As with sexual assault in the general population, the majority of identified victims are women and most perpetrators are males. Victims as old as 100 have been identified and their sexual perpetrators range in age from juveniles to senior citizens. Studies have found that the majority of identified victims experience cognitive, functional, and physical limitations. These limitations increase risk for sexual assault and limit the ability for older people to protect themselves from sexual violence and seek intervention assistance. Perpetrators may target them due to their physical and cognitive vulnerabilities. Additionally, they may depend on perpetrators for daily needs and/or to cope with debilitating conditions. 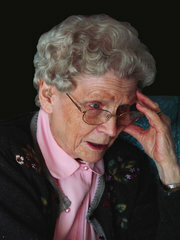 Older individuals can be left unable to protect themselves from assault. Their ability to access and utilize intervention services can also be adversely affected. Physical age-related changes do not render older adults less intelligent or incapable of informed decision-making. Accumulated life experiences often result in older adults possessing significant wisdom, insight, and a broad range of effective problem-solving abilities. Advocates can play an integral role in building upon these strengths and inner resources. What Can You Do When Someone Discloses Elder Abuse? The International Association of Forensic Nurses has created a Nursing Response to Elder Mistreatment Curriculum. Vulnerable Adult is someone who can’t take care of him or herself because of a mental or physical condition and must rely on others for assistance. Incapacitated person is an adult who a court has found to lack decision-making capacity and cannot care for his or her own person and/or property. Some states may refer to this individual as a ward or disabled person. Guardianship is a relationship created by state law in which a court gives one person or entity (the guardian) the duty and power to make personal and/or property decisions for another adult (an incapacitated person). Consumer Fraud Fraud may be defined as the deliberate deception of an individual with the promise of goods, services or other financial benefits that are actually nonexistent, were never intended to be provided, or were grossly misrepresented. Undue Influence is the use of power and control by perpetrator to exploit trust, dependency and fear of elder in order to obtain elder’s “consent ” in order to have intentional and improper influence or persuasion on the weaker party by the stronger. This often involves a special relationship of trust and is often a method of committing a crime. It is a pattern of manipulative behaviors. Forensic 1) is relating to, used in, or appropriate for courts of law or for public discussion or argumentation or 2) relating to or used in debate or argument 3) relating to the use of science or technology in the investigation and establishment of facts or evidence in a court of law. Ageism - any attitude, action, or institutional structure which subordinates a person or group because of age or any assignment of roles in society purely on the basis of age. American Bar Association Commission on the Mentally Disabled & Commission on Legal Problems of the Elderly. (1989). Guardianship: An agenda for reform—Recommendations of the National Guardianship Symposium and policy of the American Bar Association. Washington, DC: American Bar Association. Hurme, Sally Balch. (1991). Steps to enhance guardianship monitoring. Washington, DC: American Bar Association Commission on the Mentally Disabled and Commission on Legal Problems of the Elderly. Wendland-Bowyer, Wendy. (2000, May 24). Who’s watching the guardians? Detroit Free Press; Wendland-Bowyer, Wendy. (2003, Oct. 25). Guardian system overrun by abuse. Detroit Free Press; Kilzer, Lou, & Lindsay, Sue. (2001,April 7). The probate pit: Busted system, broken lives. Rocky Mountain News; Rubin, Paul. (2000, June 15). Checks & imbalances: How the state’s leading fiduciary helped herself to the funds of the helpless. Phoenix New Times; Glaberson, William. (2004, March 3). Report calls for overhaul of system that protects the unfit. New York Times. The Older Americans Act created AoA and authorized grants to States and Tribal organizations, as well as for research, demonstration and training projects in the field of aging. AoA administers the Alzheimer's Disease Demonstration Grants to States (ADDGS) program created by Congress in 1991 under Section 398 of the Public Health Service Act (P.L. 78-410; 42 U.S.C. 280c-3). It was amended by the Home Health Care and Alzheimer's Disease Amendments of 1990 (PL 101-557) and by the Health Professions Education Partnerships Act of 1998 (PL 105-392). AoA receives Health Care Fraud and Abuse Control (HCFAC) funding as authorized by the Health Insurance Portability and Accountability Act (HIPAA) of 1996. The HCFAC funds, which are received from the Medicare Trust Fund, are used to support Senior Medicare Patrols infrastructure, technical assistance, and other program support and capacity-building activities designed to enhance program effectiveness. AoA administers the Lifespan Respite Care Program created by Congress in 2006 under Title XXIX of the Public Health Service Act. The Administration on Aging is pleased to provide the following off-site resources to connect older persons, caregivers and professionals to important federal, national, and local programs. Find Local Programs The AoA-sponsored Eldercare Locator Website links you to state and local agencies on aging and community-based organizations that serve older adults and their caregivers. Check for Benefits The BenefitsCheckUp Website helps consumers find benefits programs that help them pay for prescription drugs, health care, rent, utilities, and other needs. The BenefitsCheckUp Website includes information from more than 1,650 public and private benefits programs from all 50 states and the District of Columbia. Explore National Resources A part of the Eldercare Locator Website, here you will find useful topic-specific resources for older adults, caregivers and aging professionals. Medicare.gov Official U.S. Government Website for the latest information on Medicare enrollment, benefits, and other helpful tools. Long-Term Care Planning Long-term care includes a variety of services and supports to meet health or personal care needs over an extended period of time. The National Clearinghouse for Long-Term Care Information Website provides information and resources to help you and your family plan for future long-term care.